A Clear Light healing addresses and satisfies the unresolved needs of your body, mind and spirit. 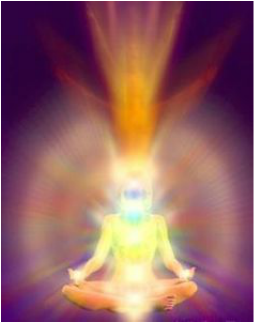 During your healing, a flood of spiritualizing life force is released into your body. This transformational energy dissolves interior emotional and mental barriers that have built up due to stress or trauma. It releases negative patterns from your system that are blocking the flow of your personal life force or chi. A mental energy clearing emphasizes specifically on clearing the emotional mind assisting you with relieving mental stress and letting go of overwhelming thoughts and negative emotions .It can also assist you with the relief of physical symptoms such as migraines, headaches and allergies or any other physical conditions that takes place in the region of the skull. Diving Feminine Healing calls for female ascended masters to activate your own flavor of female energy. It is so easy for women to pick up and absorb other people's energy in attempt to deal with their fears, concerns, etc. But your own energy feels best in your body. You will know it is your energy when you feel calm, clear and settled in your body-not spacey. Christ Force energy is profound and peaceful, providing calm and quiet in your mind and body. Supreme Being healing aligns all your energy bodies with your higher self and allows you to come back to your highest vibration of Self. Healings 2nd Saturday of the moth.